Overlooking Melbourne’s Albert Park, the hotel is only a short walk or tram ride from the central business district and retail outlets in the heart of the Victorian state capital. It’s 4 km from the restaurants, bars and buzzing nightlife in Federation Square and the Southbank, and only 10 minutes’ drive from the endless sands of St. Kilda and Port Melbourne’s beaches. 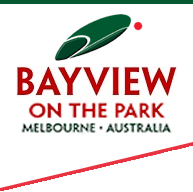 The hotel sits across the lake from the Melbourne Sports & Aquatic Centre, so it’s a popular destination with visitors hoping to discover the impressive outdoor facilities which range from the neighbouring golf course and Formula One circuit in Albert Park to the iconic Melbourne Cricket Ground and Rod Laver Arena. Trams cost from AUD 3 for a single journey and from AUD 7.50 for a day pass. Around 1.5 km from the coast of Port Phillip Bay, the hotel has easy access to the centre of Melbourne. Melbourne International Airport (MEL) to the north of the city is only 35 minutes’ drive. Most international travellers from the southern hemisphere can fly to Melbourne direct, but flights from Europe often stop over in Kuala Lumpur, Bangkok, Singapore or Hong Kong before transferring to Australia. The most popular carriers include Emirates, British Airways, Qantas, Etihad, Virgin Australia and Qatar Airways. From the airport, take South Centre Road onto Keilor Park Drive/State Route 39 and then bear left onto the slip road into the city. Continue on Calder Freeway/M79 to the M2 Citylink/State Route 43 for 8 km. From the Citylink, take Exit 2 for the Kings Way/State Route 30 and keep right towards Princes Highway. Keep right and continue onto National Highway Alt 1 and Bayview on the Park will be on the left after 1.3 km. There is secure overground parking for 200 cars at the hotel, which costs from AUD 13 per day. The Starbus runs directly from the airport to the hotel. If it isn’t available, take the Melbourne Airport T1 or T3 Skybus to the Skybus Coach Terminal and then the 216 bus towards Brighton Beach. Disembark at Commercial Road, and the hotel is a 6-minute walk along St. Kilda Road and Roy Street. The journey by bus can take from 40 to 90 minutes depending on traffic and connections. Shuttles and trams take approximately 45 minutes and cost from AUD 20 – AUD 30. Taxis from the airport to the hotel take around 30 minutes and cost between AUD 60 and AUD 80.